Gur ke Chawal or Jaggery Rice is a flavoured sweet rice made during winter months. Jaggery is known to provide warmth & promote good health during cold winters. In this quick recipe you learn how to make it in pressure cooker. Saffron is used to provide it rich aroma & colour & cardamom & dry fruits to make it tasty. These rice are eaten together with gravy vegetable dish or alone by itself. It tastes yummy. People having a sweet tooth will surely love this recipe! Do try it today. 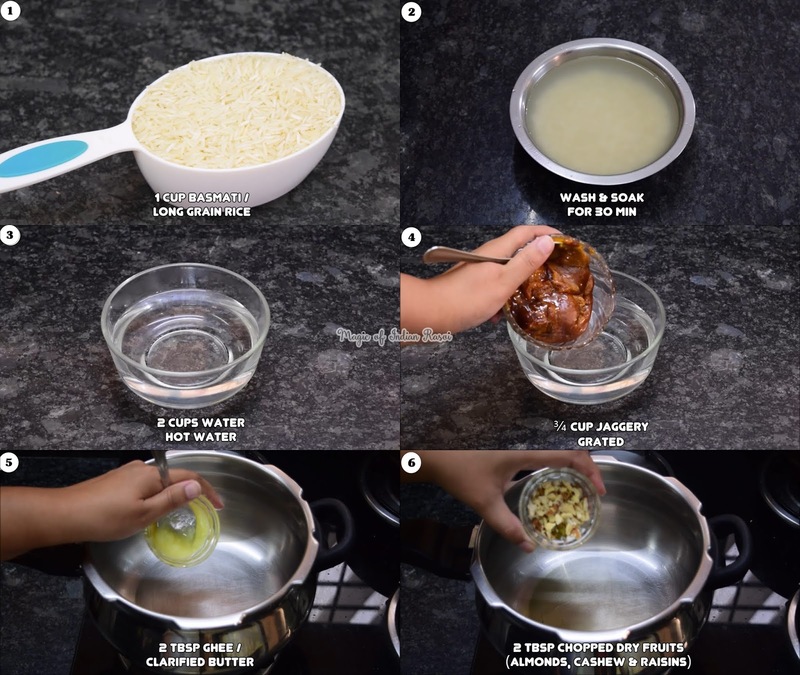 Wash rice 3-4 times with water and soak it for 30 min. Add jaggery in 2 cups of hot water. Mix and allow it to dissolve completely for 10-15 min. Keep aside. In a pressure cooker, heat clarified butter/ghee. Add dry fruits and saute for 1 min. 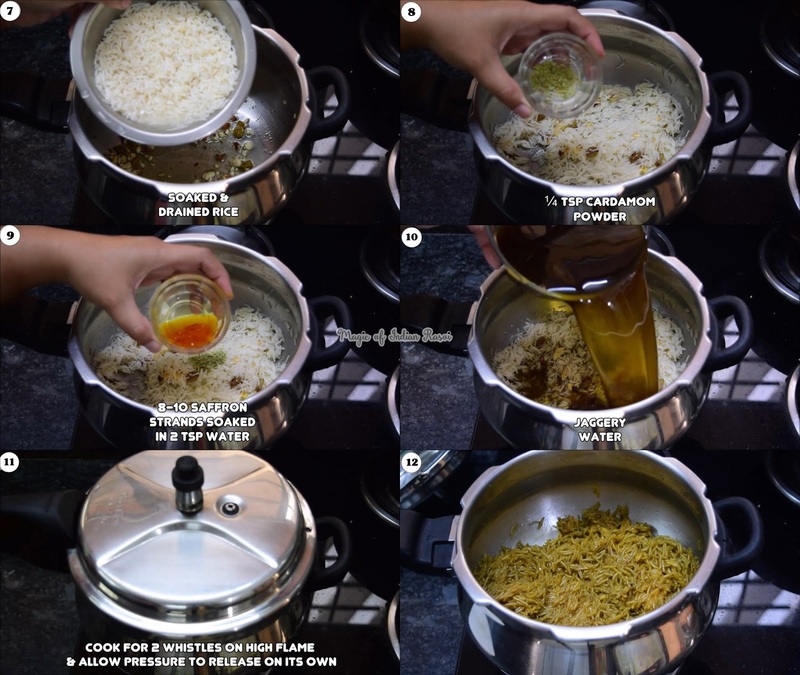 Add soaked and drained rice. Saute for 1 min. Add cardamom powder, saffron water and prepared jaggery water. Mix once. Put on the cooker lid and whistle. Cook for 2 whistles on high flame & allow pressure to release on its own. Open the lid and serve Gud ke Chawal hot!